Marko Arnautovic has struggled against top clubs and is facing a Gunners squad that has performed well against forwards. 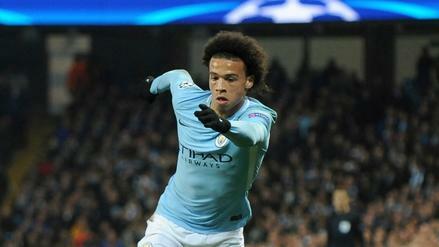 Which other players should we avoid for Matchweek 35? The main slate for Matchweek 35 features three Sunday matches with three of the top-10 clubs in action. All three of the top-10 clubs in action face clubs in the bottom-half of the table while Burnley and Manchester City face squads that are fighting to stay up. We should try to take advantage of the teams -- and players -- who play especially well either home or away, while also looking at oddsmakers' favorites and over/under totals. DFS players, as always, should check out injury reports and confirmed starting XI's when they become available since some players may be rested. Arnautovic is the seventh-highest priced forward on the slate, and he has averaged 18.62 FanDuel points in 26 matches this season. Arnautovic has recoreded two goals and one assist in his previous six matches while averaging 21.08 FanDuel points over that span. West Ham travel to Emirates Stadium to face Arsenal, and the Hammers are a one-goal underdog and have an implied team total of one goal. The Gunners should dominate the possession as they average 58.6% of the possession on their home pitch while the Hammers maintain 45.6% of the possession in road matches. 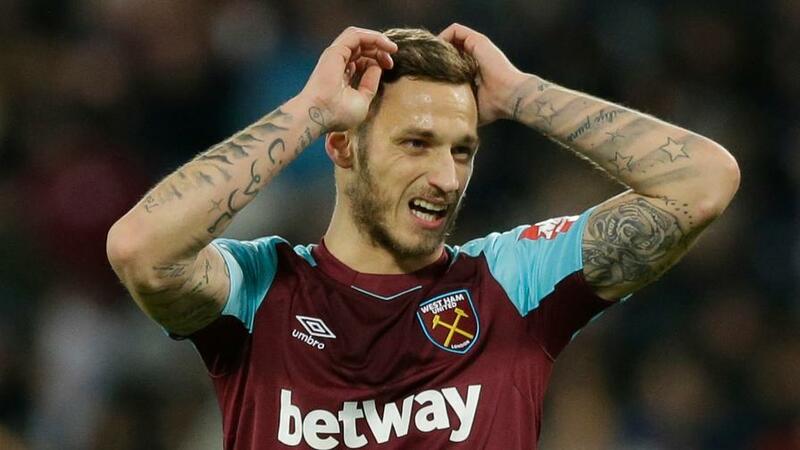 Arnautovic has struggled this season -- as most players do -- against top clubs, scoring just two goals against squads currently in the top-10 of the table (Chelsea and Newcastle) while only producing 9 of his 28 (32%) shots on target against those same clubs. The Austrian now faces an Arsenal squad that have allowed the fifth-fewest shots (2.15) per 90 minutes to forwards this season. The forwards priced above Arnautovic all seem to be in great matchups. 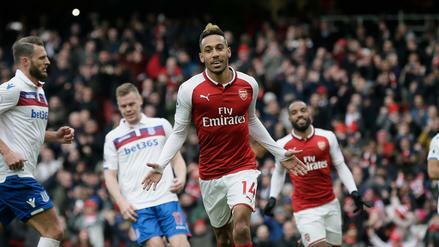 Pierre-Emerick Aubameyang has scored five goals in five matches while Gabriel Jesus should see a bump due to Sergio Agueroâ€™s injury. Shaqiri is tied with two other midfielders as the seventh-highest priced player at his position, and he has averaged 19.55 FanDuel points this season. Shaqiri has scored more than 10 FanDuel points just once in his last five matches while averaging 8.9 FanDuel points over that span. The Potters are a 0.5-goal underdog to Burnley, and the over/under is set at 2 goals -- which is the smallest total on the slate. The Clarets do face Chelsea on Thursday so fitness could be an issue but they have allowed the third-fewest goals this season (29) and have not allowed more than one goal since Matchweek 22 against Liverpool while Stoke have not scored more than one goal since Matchweek 24 against Huddersfield. The Clarets have allowed the sixth-most shots (1.9) and seventh-most chances created (1.36) per 90 minutes to forwards/midfielders/attacking-midfielders since Matchweek 25. Those numbers have not contributed to scoring opportunities, however, as Burnley have allowed the fourth-fewest assists (0.07) and second-fewest goals (0.11) per 90 minutes over that span. Shaqiri is not in good form, and the Clarets do not allow a large number of goals, which should limit the Swissâ€™ upside when there is a large number of midfielders who could post tournament-winning numbers. Tarkowski is tied with three other defenders as the top-priced player at his position, and he has averaged 18.09 FanDuel points in 26 matches this season. Since returning from a groin in Matchweek 29, Tarkowski has not made more than two defensive actions in any category but clearances -- which is the lowest points total out of all the defensive statistics -- while averaging 14.65 FanDuel points over those five matches. Outside of allowing the 10th-most tackles (1.68) per 90 minutes to opposing defenders, the Potters have not allowed a large number of defensive actions. 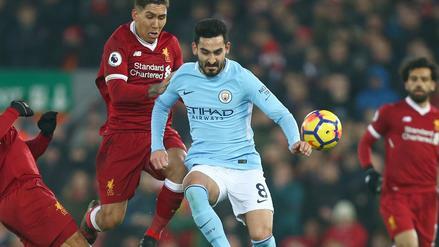 They have surrendered the fifth-fewest clearances (4.38), third-fewest blocked shots (0.44) and second-fewest interceptions (1.24) per 90 minutes to defenders. Tarkowski has made three or more tackles in seven matches this season, but five of those matches have come against clubs currently in the top-10 of the table while the Potters are currently in the drop zone. Despite the small slate, there are still plenty of defenders who could see a large number of defensive actions, which makes Tarkowski, especially at his price, a risky option in all formats.